Initial announcement will happen at GPU Technology Conference at 26 to 29 March. Announcement is expected to be late. For now plans of production start are mid summer with proper announcement can be August or September. But on spring we can see some brief info or teasers. 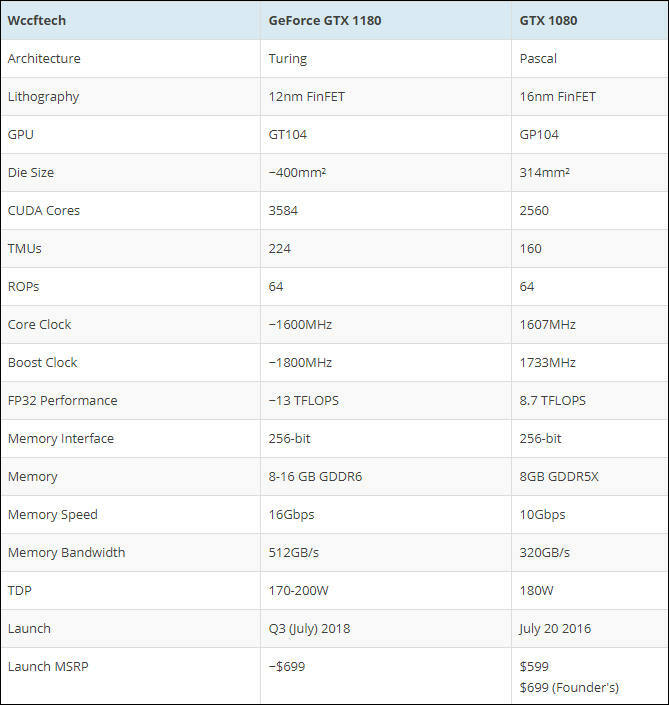 Can you say something about the hardware on a gfx card that makes it optimized for mining vs that for video rendering vs gaming? What are the overlaps, i.e. is what makes a card strong for mining the same as for rendering but a gaming card can be optimized separately in 'x' way? I use AMD cards for Final Cut and I will be milking my 2x 7970's as long as the prices for 580's and Vega's remain so high. RX580 prices already dropped significantly. As for performance - it is various GPU shader units stuff. Nvidia already do various stuff, like specially disabling parts of video encoders and allow only 2 streams for all consumer cards. And all such. "As for performance - it is various GPU shader units stuff. Nvidia already do various stuff, like specially disabling parts of video encoders and allow only 2 streams for all consumer cards. And all such." All NVidia consumer GPUs have 2 streams restriction for NVENC (hardware encoders). It is special artificial thing, allowing to make Nvidia big number of millions our of thin air, as companies buy expensive cards instead. Same is true for >8bit color. Some bios changes and also some laser magic on die setting proper switches for pro cards. WOW thanks @Vitaliy_Kiselev didn't know that, so having dual GPU not in sli just dual configuration would allow for 4 hardware encoders, for example for simultaneous live streaming? 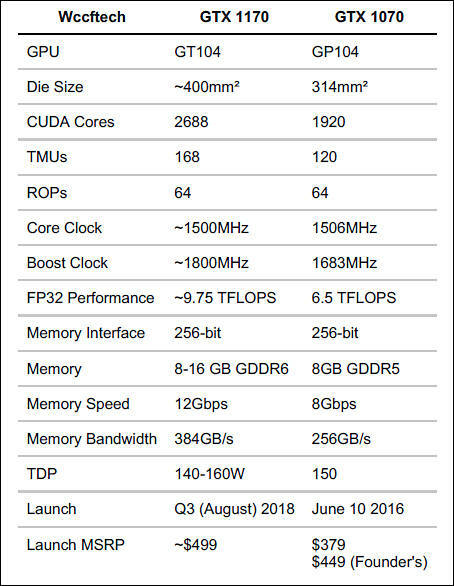 About dual GPUs I have no idea. May be yes, may be no, need to ask experts. Can be cheaper to get some simple pro GPU that have proper encoders. Great we are talking about Quadros right? Or maybe some blackmagic capture and monitor cards? It is expected that price will rise, most probably initial offers will be at around $800-899. I could really use some of those rumored 16GB cards... Windows 10's horrible VRAM issue (holding 20% hostage for some insane reason) is concerning for those into rendering CGI/VFX with Octane or other GPU engines. I'm only getting 8.5GB available with a 1080Ti card... so stupid. Microsoft won't even acknowledge this problem even exists, of course. Also, why not downgrade OS if it is important? @Vitaliy_Kiselev Oh nice, yea I'll read through it. The 120W NVIDIA next-gen Turing GPU will be priced around $499 MSRP. Will have 8Gb RAM. The 150W NVIDIA next-gen Turing GPU will be priced around $599 MSRP. Will have 8Gb RAM. The 180W NVIDIA next-gen Turing GPU will be priced around $699-749 MSRP. Will have 11Gb RAM. Prices looks too high to be real. The GeForce GTX 1080 Ti MSRP will drop in price by $100. The GeForce GTX 1080 MSRP will drop in price by $50. The NVIDIA next-gen 120W GPU will be arriving at the end of September. 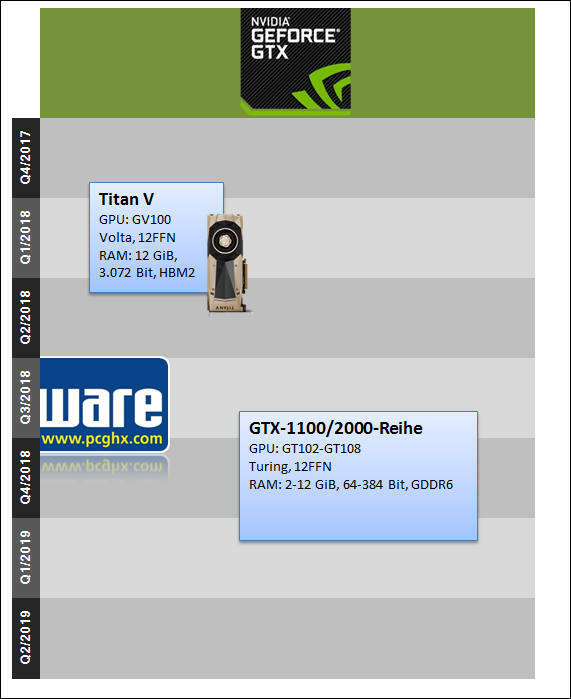 The NVIDIA next-gen 150W GPU will be arriving by the second week of September. 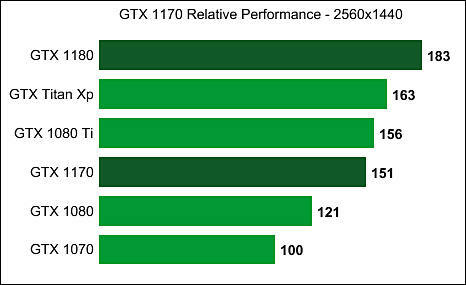 The NVIDIA next-gen 180W GPU will be arriving in the first week of September. Public release of first models is expected at August 20th. As usual, with extreme margins. @Vitaliy_Kiselev It's American capitalism. Worth mentioning, every time.